A small semi-parasitic herb up to about 6 0 cm tall though often less. Leaves usually opposite they vary from linear at the top of the plant to elliptical towards base. 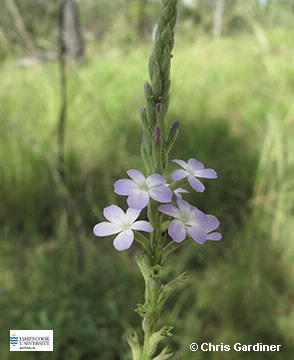 Flowers borne in a terminal raceme, Corolla lobes more or less equal in size, not distinctly 2-lipped as in a similar species Striga, white to purple in colour. Fruit a capsule.